Charms! Charms! Charms! We've got em' and you're gonna love em'! 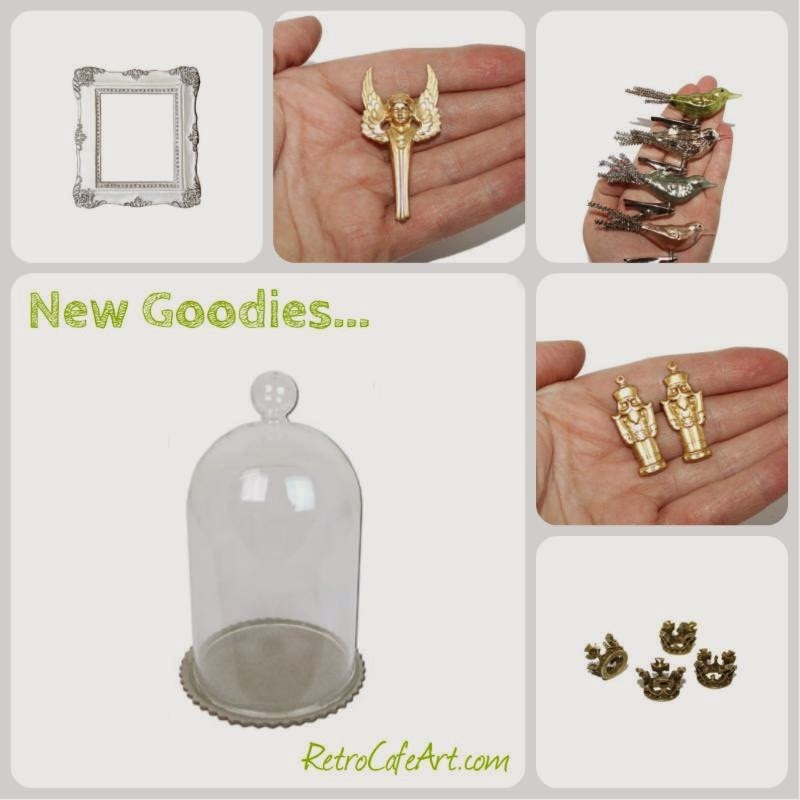 This week we have TONS of new charms in stock, as well as awesome new Melissa Frances goodies. The new glass domes have so much awesome Christmas potential! In addition to the new goods, the general Christmas Section has over 600 fabulous goodies (all on sale) and our Coffee Break Design Christmas Section is sure to inspire. This fabulous Deer Mount Ornament is by Amy Nieman! 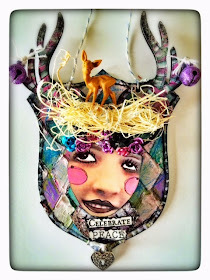 I LOVE that she used a funky face on the deer head, and went with some non-traditional colors. 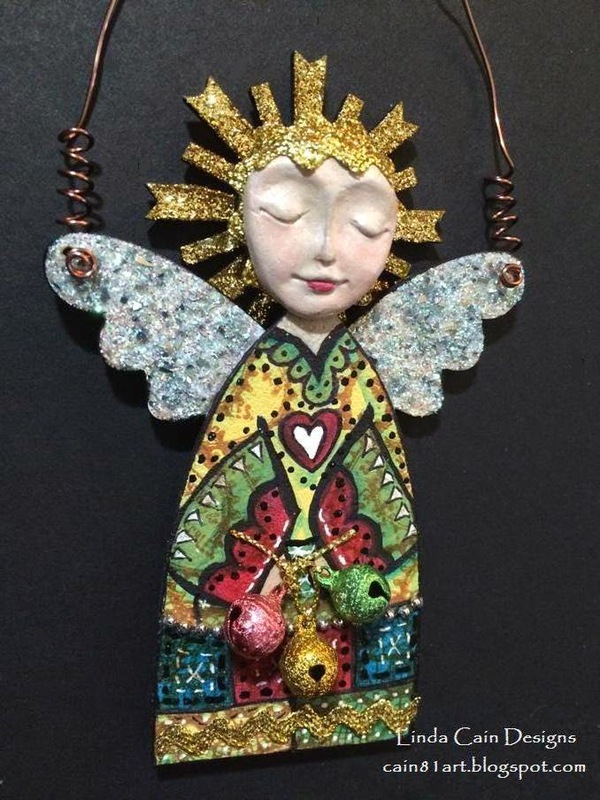 This would make a fabulous Christmas ornament, OR anytime ornament! So creative Amy! I absolutely adore this fabulous Primitive Angel by Design Team Member Linda Cain! The halo is gorgeous, and Linda definitely shows off her painting skills on this one. And check out the "make-up" on her sweet angel's face! 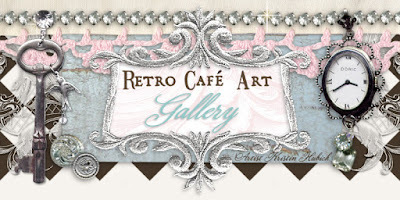 You can find the full details including the complete supply list on Linda's blog here! 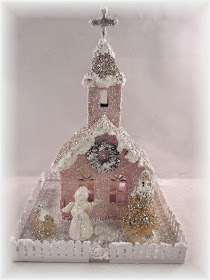 Design Team Member Lynn Stevens definitely captured the magical and glittery side of Christmas with her stunning Votive Church Shrine. She's using our Church Shrines as a project for her art group so there will be lots more to come. This look almost good enough to eat Lynn! Gorgeous. I was so excited when Laure Janus shared her adorable Tiny Fairy Shrines with me! 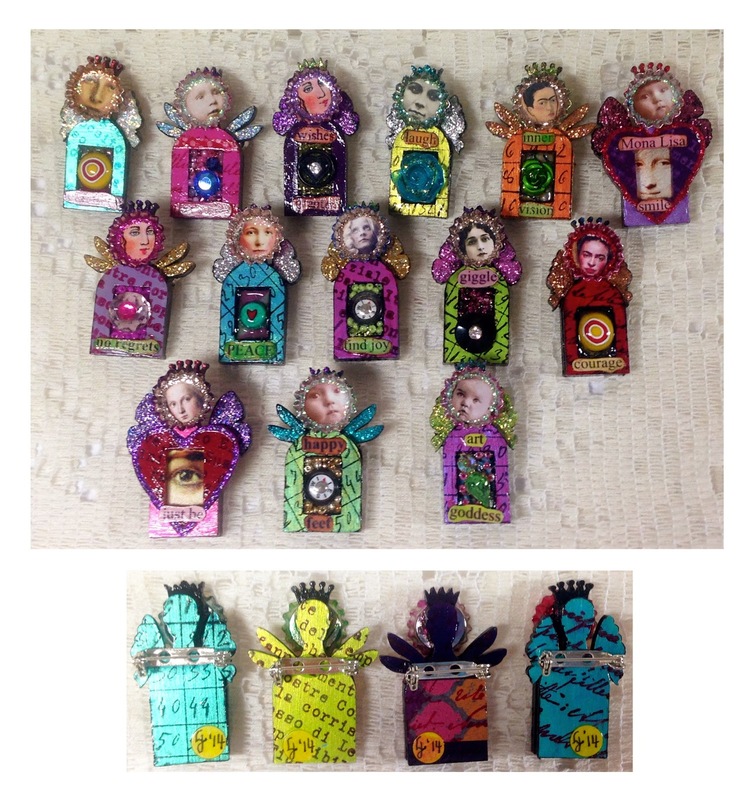 She made them as gifts for her art group, and I'm sure they will LOVE them. Note how she turned them into pins! And using Mini Bottle Caps was such a brilliant idea. Even her backs are fantastic! These Tiny Fairies are a great little Christmas gift idea. Thanks so much for sharing Laure! Every now and then I like to pop in and say hi. The face behind the art supplies! I was winter coat shopping yesterday, and ended up with this bit of fluff, which was basically free (Horray for 50% off and Kohl's cash!). Anywho, I'm not sure what my face is saying, but my mind was thinking "Does this hood make me look fat?" Just making silly faces. I'm pretty much a goof ball most of the time. 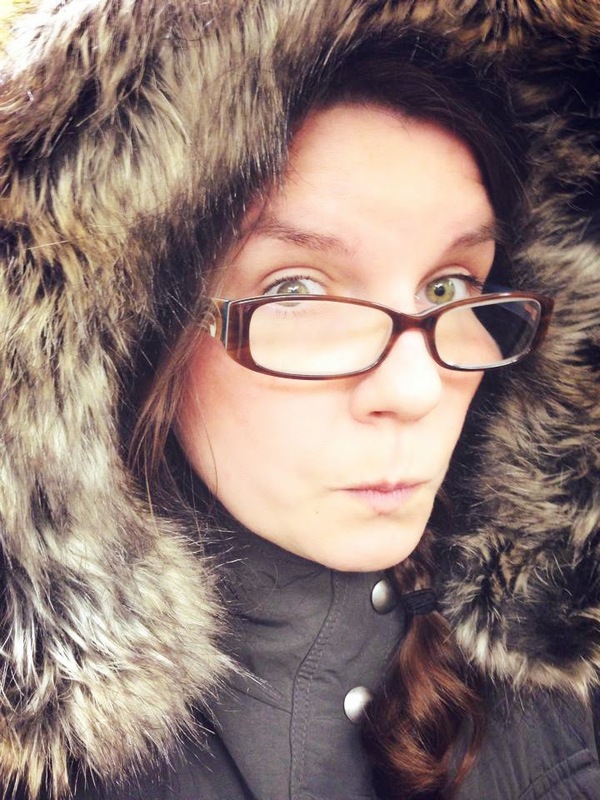 And now I'm a warm goof ball! 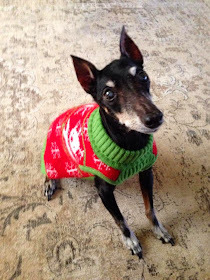 Speaking of bits of fluff, our 16 year old min pin, Zeus, is all set for winter too. He loves is "ugly Christmas sweater". For those of you that follow me on Facebook, I'm thrilled to report he's feeling much better! Nearly 100%!